IT translation is the translation of IT related stuff. Information technology has now become an essential part of every field of human life and every type of modern facilities, with rare differences, are either devices implemented with embedded computers or options of connecting the system with computer power. As a practice, such documentation usually contains particular terminology which is understood only by IT professionals and is very challenging for translators. The field of IT is continually growing and changing, urging IT companies to quickly tailor their products, services and supporting stuff for global distribution and use. For this purpose, IT translation has become a separate branch of written translation. To be on top of your industry, you need to partner with a translation company experienced in IT translation services. The complexity of high-quality performance of IT translation as well as other technical matters lies in the fact that professional translators who have done education in humanities are generally not very strong at working with these sorts of texts. Furthermore, due to the speedy pace of the development of information technologies, it is necessary to work in the field continues to keep a sufficient level of professionalism. The considerable variety of translatable documents confuses the work of translators. These texts add hardware and software textbooks, technical descriptions, press releases, etc. The task of the IT translator also includes the localization of software. 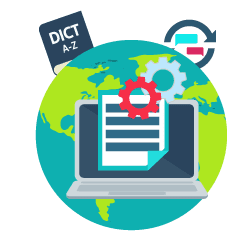 Translations for information technology, like all other technical translations, require proper vocabulary and terminology used to produce the necessary quality of a project. As a standard step in the process, professionals work with specially developed glossaries and proofread every translation to ensure the accuracy of terminology, precision, and consistency. 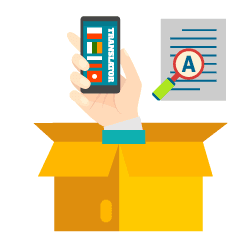 From the translation of IT manuals to websites, product sheets, and instructions, professionals have the practical experience to provide you with high quality IT translations customized to your company’s products or services. Following translation methodology, and adhering to a quality assurance process designed for the translation industry, translation agencies make sure your specialized translation meets the strict specifications of technical materials. The huge majority of an IT translator’s work includes manuals for software and hardware. The problem is that these patterns not only contain IT-terms but also are composed of specific concepts associated with the range of the equipment. IT translators usually have to translate comparative reviews of software and hardware for IT journals and websites dedicated to information technology. Comparative reviews are generally on the latest discoveries in IT. A large number of review tables and graphs in comparative reviews requires a lot of concentration on statistical data and the ability to work with pictures. Articles for IT professionals often contain examples of coding or script commands, and to learn and translate these articles well, the translator sometimes requires to have at least some essential experience in programming languages or in the command grammar to be defined. Press releases concentrate on the latest discoveries in IT, which needs a professional translator to follow the evolution of the IT market, have knowledge of the records of innovation of the software or hardware developed by the particular manufacturer, and attention to detail and exceptional language skills to accurately translate the information of the product that has not yet been published in the target market. IT development, implementation, and upgrading are now in just about every business effort and professional program, whether as a central or external element. The larger and farther leading the company, the more significant and reliant upon IT systems it is. With market and business globalization development strategies drawing closer and closer to becoming part of global business mainstream, need for IT translation and IT systems localization has exponentially grown. 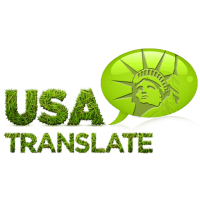 USA Translate has been one of the leading translation agencies in the industry of expert IT translation services in Europe and the U.S. Our translators consistently re-educate and train themselves as necessary, to keep up-to-date with the requirements of the ever-evolving, steadily progressing developments of information technology. Whether you need IT translation, software localization, database translation, and localization, or any other highly technical IT translation service – our translator techies are ready for it. Our ability to guarantee high-quality translations is, in part, due to a huge team of professional translators from all over the world. Our project managers personally select our IT translators through a unique way that promotes quick, effective, and yet thorough analysis, based upon qualities such as quality, experience, and skill level, background knowledge and information with IT translation services. Our methods guarantee that each one of our clients gets not only the best IT translation service we have but at the lowest rate possible.